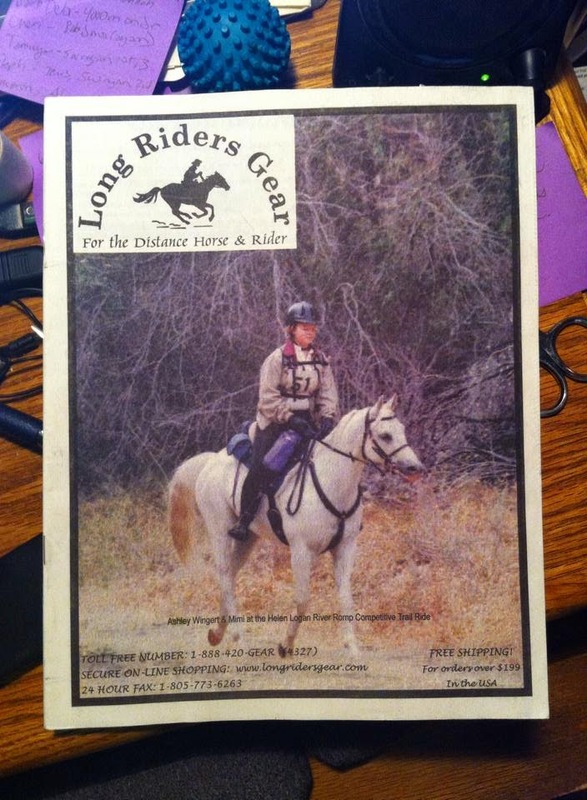 Not too long after we started distance riding, one of Mimi’s and my ride photos was the cover page for the Long Riders Gear (now Riding Warehouse) catalog. I think it was one of the 2003 catalogs, since the photo was from 2002. That was the Helen Logan River Romp ride, held in Santa Ynez, CA…still one of the prettiest rides I’ve done. I was so glad I found this the other day during my magazine sorting. All sorts of happy memories. Love it! Too funny about all the gear and basic black :) Again soooo wishing I had photos from LDs as a junior. My buckskin Appendix in double reins and leather bridle and little leather english saddle, irons, and my paddock boots, yep!